Francis sent a note of condolences to Catholic church authorities on Monday, saying he was "deeply saddened" to learn of the loss of life. At least 100 people are believed to have died, and another 80 people are unaccounted for, after heavy rains and mudslides thrashed southern Japan. In the message, Francis expressed his solidarity with all those affected, offered his encouragement to rescue crews and said he was praying for the dead and injured "and the consolation of all those who grieve." European Union chief Donald Tusk has suggested moving the postponed summit with Prime Minister Shinzo Abe to Tokyo next week. Abe was set to visit Tusk on Wednesday to sign a free trade pact with the EU but was forced to abandon a trip to Europe to oversee the emergency response to deadly heavy rains. Tusk said that the "EU will help in any way we can." He added that "in view of the tragic circumstances, we are ready to move our EU-Japan Summit from Brussels to Tokyo next week." Japan's government says Prime Minister Shinzo Abe has canceled his planned July 11-18 trip to Europe and the Middle East to oversee the emergency response to deadly heavy rains. 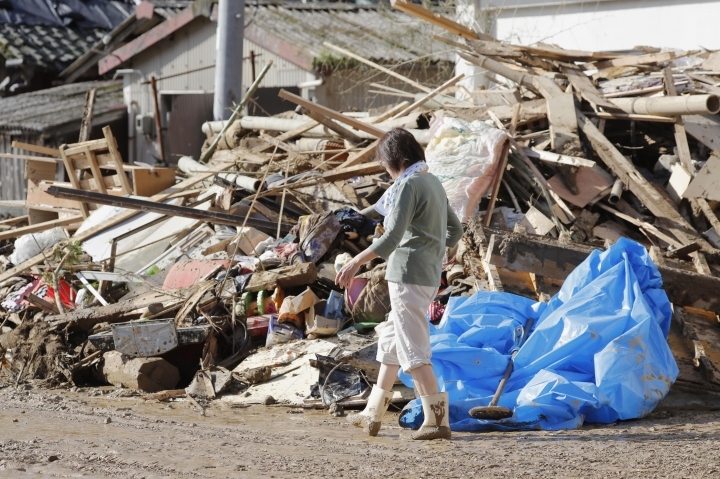 Chief Cabinet Secretary Yoshihide Suga told reporters Monday at least 103 people have died or are presumed dead from the heavy rains, floods and mudslides that have struck large parts of western Japan. He said 80 people were unaccounted for, many of them in the hardest-hit Hiroshima area. Suga said Abe was scheduled to visit Belgium, France, South Arabia and Egypt, beginning Wednesday. Abe was expected to sign a free trade pact with EU while in Europe. 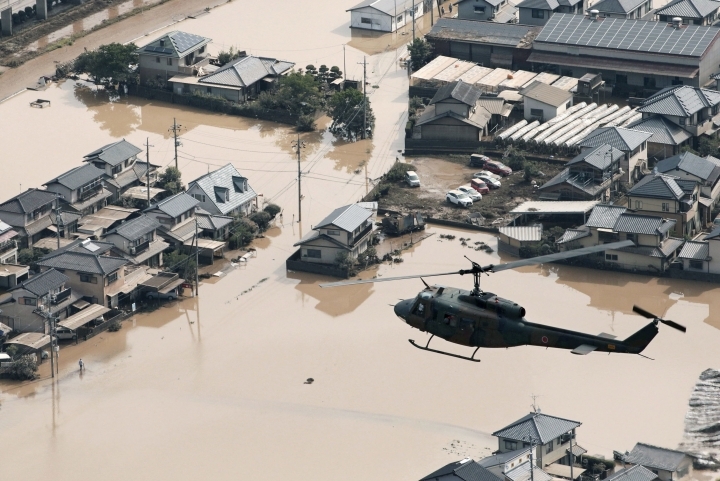 The Japanese government says at least 100 people have died or are presumed dead from the heavy rains, floods and mudslides that have struck western Japan. Suga said 87 people were confirmed dead and 13 others had no vital signs when they were found as of early Monday. 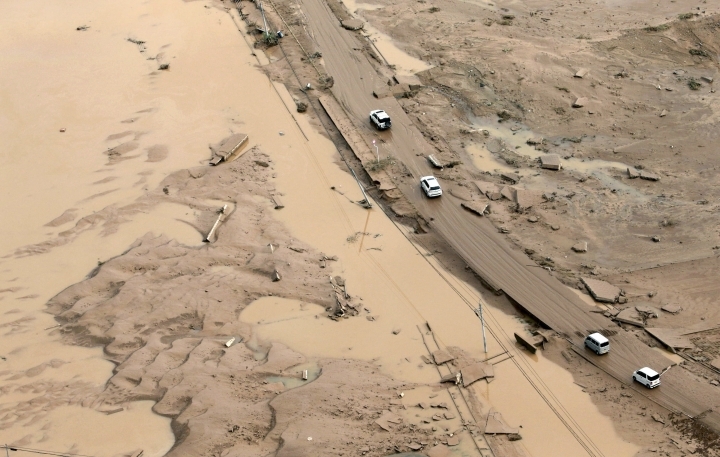 Searches and cleanup efforts were taking place in the southwestern region where several days of heavy rainfall set off flooding and landslides in a widespread area. 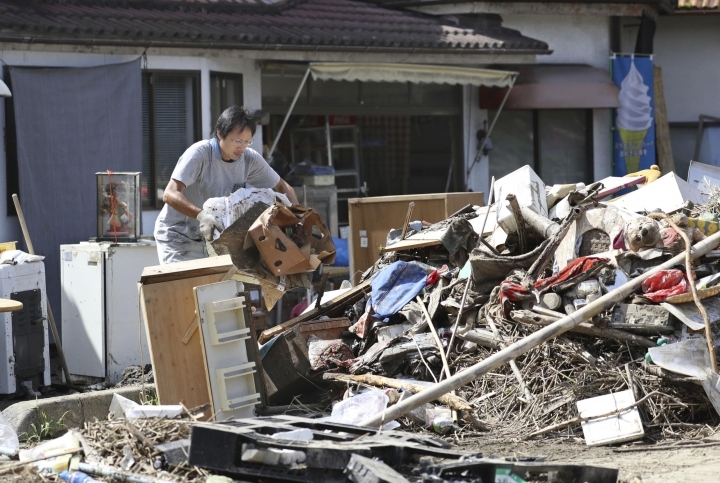 People are preparing for risky search and cleanup efforts in southwestern Japan, where several days of heavy rainfall had set off flooding and landslides in a widespread area. 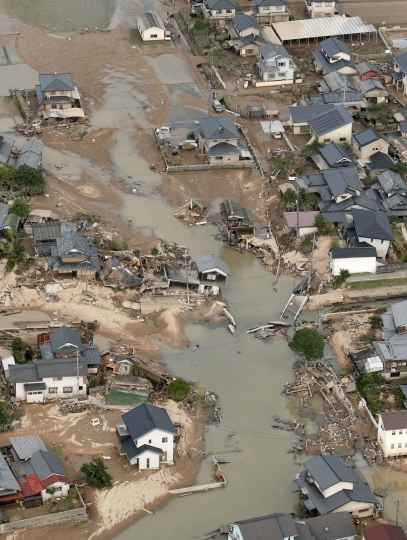 Japanese media reports said 88 people died and 58 people are missing. Some residents in Hiroshima prefecture said they were caught off guard in a region not used to torrents of rainfall, which began Friday and worsened through the weekend. Rivers overflowed, turning towns into lakes, leaving dozens of people stranded on rooftops. Military paddle boats and helicopters were bringing people to dry land. The assessment of casualties has been difficult because of the widespread area affected. Authorities warned that landslides could strike even after rain subsides as the calamity shaped up to be potentially the worst in decades.